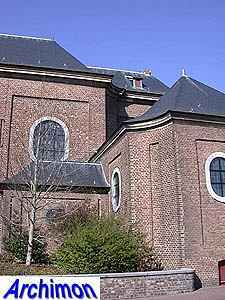 Until 1795 Eys belonged to the county of the Plettenberg family which resided at the castle in nearby Wittem. 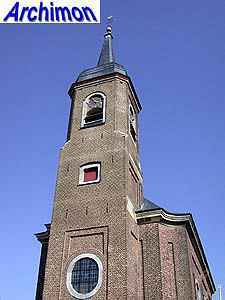 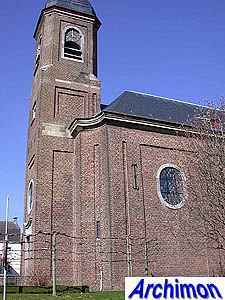 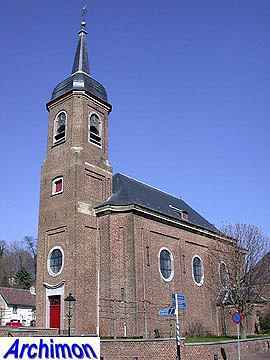 Because the county was an autonomous part of the German empire the catholic religion was never prohibited, reason why in Eys one of only a very few parish churches in the Netherlands in Baroque style could be built. 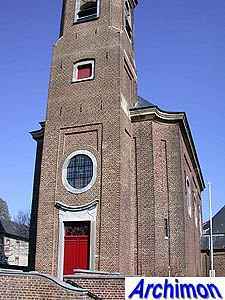 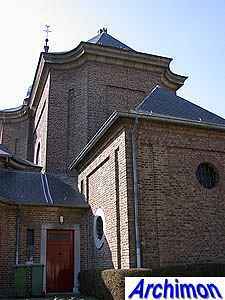 Johann Conrad Schlaun, an architect from the German city of Munster, was still working on the church of the monastery in Wittem when count Ferdinand van Plettenberg gave him the assignment for a new parish church in Eys to replace an older one. 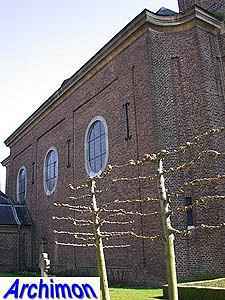 Like the church in Wittem it was built in a Baroque style more typical for the Munster area. 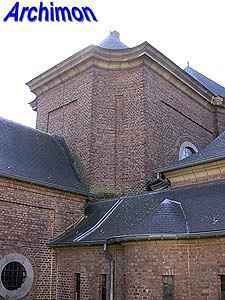 It was built mostly of brick, with a sparse use of natural stone for details only. 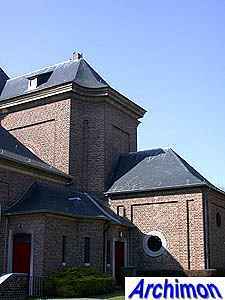 The one-aisled nave has rounded recesses at its corners, as has the rectangular choir. 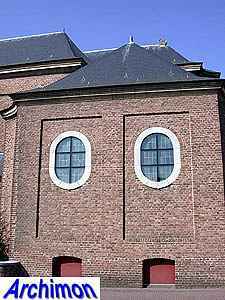 Undeep rectangular recesses decorate all the walls. 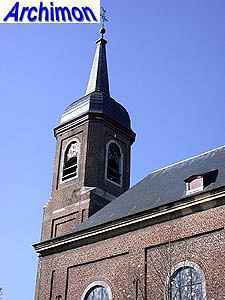 On top of the tower is an elegant helmet-roof with spire. 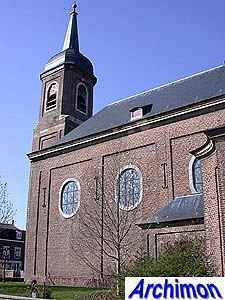 The church was restored in 1934-1935. 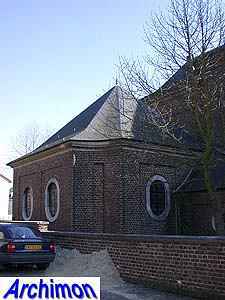 During this restoration lateral chapels, designed by M. N. Ramakers, were added to both sides of the choir, in a style similar to that of the rest of the church.